We can give you a preview of the Scottish Kickstart programme for Saturday 4 February. A plenary session on key messages and strategy will follow. 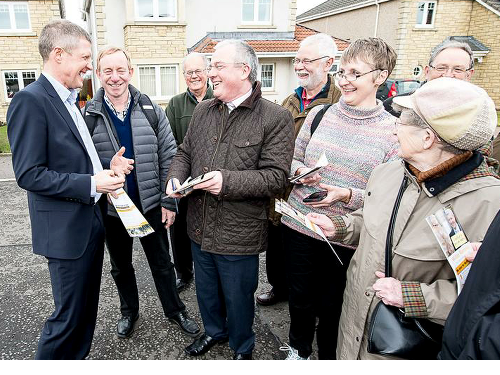 The Leader of the Scottish Liberal Democrats, Willie Rennie MSP, will then deliver his assessment of the national and local political landscape, followed by a Q&A. 90 days to go – what’s your winning line? We’ll wrap up at 4.00pm to allow you to get home. There will be ‘ask the expert ‘sessions throughout the day about setting up your MyCouncillor website, Connect and PagePlus. Registration is £25 for ASLDC members (including lunch); lunch is £5.00 for non-members. You can register and pay by telephone, call Clifton Terrace on 0131 337 2314, or you can sign-up and pay online. At campaigners’ requests we expanded the Scottish Kickstart programme to include a Friday evening session to provide an option for those with long distances to travel to avoid a very early, wintry start. The Friday evening session will offer individual and/or group mentoring (bring your campaign plan and samples of literature) plus Campaigning in Large Council Groups, followed by the option of a meal and social event. A special rate of £45 for bed and breakfast has been arranged with the Salutation Hotel. Contact the hotel directly to book, on 01738 630066 and quote Kickstart. For further details call me, Peter Barrett, on 01738 571527 or 07789 617551.